Big Bang's T.O.P is suspected of receiving special treatment during his military service. The March 19th episode of MBC's 'Newsdesk' reported on the possibility of special treatment, citing the number of sick days T.O.P has taken. 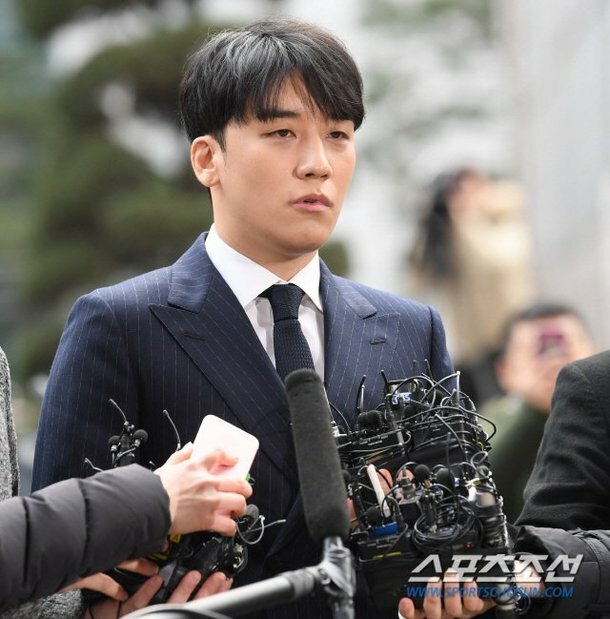 The Big Bang member is currently serving as a public service worker at the Yongsan District Office, and his schedule is reported as Tuesday to Saturday, 10AM to 7PM. However, he's alleged to have taken more sick days than others at the office and often takes extended weekends. During the Chuseok holiday in September of 2018, T.O.P took 9 days off in a row with 4 days off and 2 sick days on top of the regular 3-day Chuseok holiday. He's also said to have taken 4 days off in June of 2018 for Memorial Day, getting 2 days off and 1 sick day. 'Newsdesk' reported T.O.P had not submitted medical reports for either instance to explain his sick days. According to 'Newsdesk', T.O.P explained, "It was because I was suffering from panic disorder at the time, and I'm a bit ill in general." Compared to 226 other public service workers who are serving their military duty at the Yongsan District Office, T.O.P had taken 3 times more sick days and 4 times as many extended weekends or holidays. However, the Yongsan District Office has stated T.O.P is not receiving special treatment. YG Entertainment commented, "T.O.P is currently doing alternative service, so our agency can't give you a statement. You have to ask the Yongsan District Office." Most non-celebs take their vacation and sick days in chunks when in the military. Idols tend to do them in small bursts instead so it ends up looking suspicious. It looks like he's taken more but if you get someone else who enlisted on the same day as him and add up their days when both are discharged they would be similar. I grew up in a military town and believe me when I say most people in the military would rather have one or two big times off to really relax rather than an extended weekend or a week here or there. Celebs don't really do that though because even though they can't technically work taking those times off lets them discuss things with their companies and their families informally to make sure their properties, businesses, and investments are being taken care of properly. Until this past year soldiers in SK weren't allowed cell phones while actively serving. I'm all for calling out special treatment but after T.O.P's scandal he's kept his head down, done his work, and hasn't caused any problems. Let's focus on the person that is actually committing crimes.